There is a misconception that the less melanin you have, the more sensitive your skin. On the contrary, darker skinned people have more sensitive skin than their lighter counterpart. This is because darker skin has more melanocytes, cells that produce melanin. Melanocytes make your skin react easily to stress. So it is a natural reaction for dark skin to have breakouts, discoloration and irritation when exposed to UV rays, chemicals, pollution and other environmental factors. This leads to the question: Should African American skin get microdermabrasion treatments? Before answering that important question, let us first define the procedure and consider other factors involved. Microdermabrasion is a type of skin treatment that can rejuvenate and exfoliate facial skin. It is a popular procedure because it is non-surgical and can address many skin problems like hyperpigmentation, acne scars, superficial scars, large pores, superficial wrinkles and improve the appearance of stretch marks too, to name a few. Many people have achieved the same results naturally with a regimen for exfoliating your skin using natural/organic products and ingredients. Microdermabrasion is a form of exfoliation on a deeper level. This procedure is gentler than dermabrasion because it only uses a minimally abrasive instrument that gently removes the outer, uneven and thicker outer layer of skin. Because the top layer (epidermis) of the skin is sloughed off, it makes way for new skin growth which gives one a rejuvenated look. This technique helps thicken collagen. Collagen is a type of protein that naturally occurs in the body. It is like glue that helps hold the body together therefore it is responsible for keeping the skin tight and smooth. As one gets older, collagen production declines which results in sagging and loose skin. If you are concerned regarding microdermabrasion and ethnic skin, it is a gentle and safe procedure and is good for all skin types. The complications are very low, if any, just like with other skin types. Generally speaking, skin darkening due to this procedure is more likely to occur for dark-skinned patients but that is due to inflammation of the skin like swelling and redness. Your skin will also be sensitive to sun exposure after the procedure so make sure you protect it by using sunscreen. Microdermabrasion and ethnic skin are a safe combination. For some people with sensitive skin, you can do a patch test first so you can decide better if you will go on with the procedure or choose another for skin rejuvenation. Depending on the severity of skin condition, a twice a month procedure is recommended for the first month and a monthly session for maintenance. The procedure takes about 30 minutes per session. Your Skin therapist (esthetician), dermatologist or surgeon may recommend moisturizers to use to prolong the result. 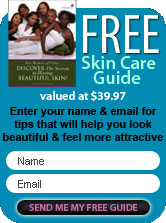 A good skin care regimen for black skin must also be practiced as a general rule to delay aging. Can African American skin get microdermabrasion treatments? Yes! However, Choose the professional wisely to perform this service. It uses crystals or a rotary tool to remove the outer layer of your skin. When done too vigorously, it will likely result in inflammation and darkened skin. When done correctly, the redness and swelling should subside within a few hours. The key is in who does the procedure and their experience with melanated skin. There is no downtime with this procedure as you can go back to your normal routine right away. A sunscreen is a must after this procedure is done.